Updated Wednesday March 7, 2018 by Nick Dreher. Lot's of questions have come up surrounding baseball bats for 2018. With Little League adopting the USA Baseball bat standard (USABat) many parents are wondering if they need to spend the money on a new bat. We have comprised a FAQ list to help answer those questions. These questions are specific to SABA. My child is playing T-ball what bat do I need? My child is playing in Farm or Minor what bat do I need? My child is playing in Bronco or Pony what bat do I need? Bronco and Pony will follow the USABat standard for bats. You will need to buy a bat that has the USABat stamp on the bat with a 2 5/8" barrel. These bats were just released this year. My child is playing Colt or Legion what bat do I need? 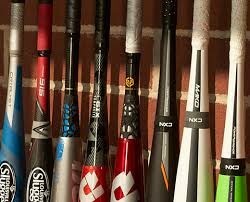 My child plays on tournament teams do I need a new bat? Maybe, depends on the tournaments entered. Ask your coach for further information. My child plays T-ball, Farm or Minor and did so last year as well, do I need to buy a new bat? My Child plays Bronco and Pony and did so last year do I need to buy a new bat? Yes, you will need a USABat standard compliant bat with a 2 5/8" barrel. My child plays Colt or Legion and did so last year, do I need to buy a new bat? No, no changes were made to the BBCOR (drop -3) bat standard. What is the USABat Standard?